A tradition revered by many families, visiting a pumpkin patch or apple orchard is a great activity to do with your senior loved one. Many are open after Labor Day, so now is the perfect time to start planning a day trip to one of these locations. Not only does it give you a chance to spend more time with your parent, but also between corn mazes and apple picking, your kids will enjoy the experience, too. 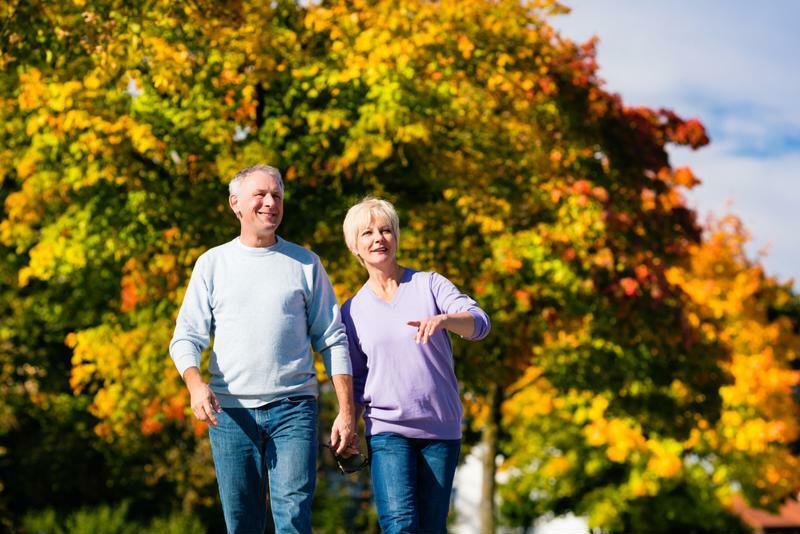 Plus, walking along the acres of land is great exercise for seniors, according to a study published in the Journal of the American Medical Association. Researchers found that seniors who engaged in an exercise regimen that involved daily walking over two years were 28 percent less likely to become disabled compared to a group that did not partake in physical activity. Taking a stroll through a pumpkin patch can help your senior loved one maintain his or her independence. Those with limited mobility, such as seniors who use wheelchairs or walkers, can still get in on the fun, too. Many orchards have fall hay rides, so your parent can explore the grounds from the comfort of a trailer. Fall is a great time to enjoy apple orchards. Is your senior loved one handy with a ball of yarn? Spend an afternoon knitting or crocheting. Fall is the launching point for the cold days of winter, so it's best to be prepared with as many homemade hats and scarves as you can make. Beyond giving you and your parent an afternoon activity, knitting can provide therapeutic benefits, too. One study evaluated the effects of knitting on patients with anorexia. Researchers found that knitting was calming for participants, and the crafters felt a sense of accomplishment, satisfaction and pride with their projects. You'd be hard pressed to find a grandparent who didn't enjoy spending time with the little ones. Crafting provides entertainment for both seniors and grandchildren. Consider setting up a day for creating fall art projects at your senior loved one's retirement community. The personalized mug is a great option. After all, what senior couldn't use another "#1 Grandparent" gift? For this craft, you need white ceramic or porcelain mugs, different colored permanent markers (include red, orange, brown and green if you are going for a fall theme) and an oven. You simply draw designs with the markers directly on the cups and let the ink dry overnight. Then, take the cups home with you to bake them in the oven for 30 minutes at 350 degrees Fahrenheit. Finally, take them out and let them cool. The designs should permanently adhere to the mugs, even after throwing them in the dishwasher (top shelf, of course).